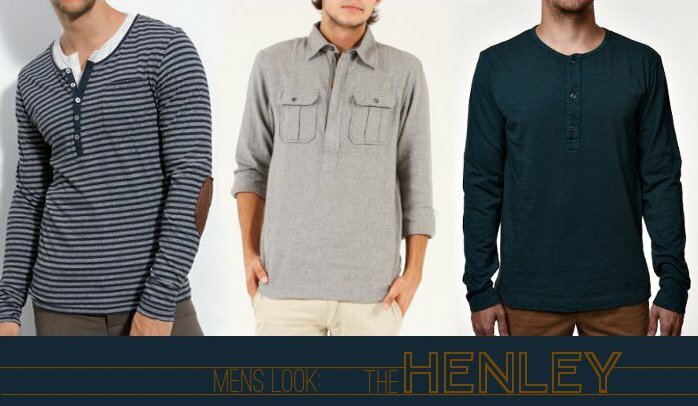 One of John's go to pieces is the henley because it is comfy and versatile. John wears the henley dubbing around on Sunday and he dresses it up under sweaters and blazers for a classic, effortless look at work. He tends to go with a straight up henley in solid colors similar to the handsome ink blue version shown above. However, I could see him in the striped henley with elbow patches (that's about as tricked out as he will take it) and the collared henley offers another variation perfect for workdays.